No surprise to see Hitchcock films go 1-2 here, but I would have pegged His Girl Friday to be ranked higher. Nice to see ten different films get votes though! This Week’s Poll: This year’s Emmy nominations were announced last week. While there were a number of questionable nominations (see Sati’s post for the most glaring omissions), they seemed to hit most of the major players for Outstanding Drama. This week’s question is: what is your favorite show that was nominated for this year’s Outstanding Drama? 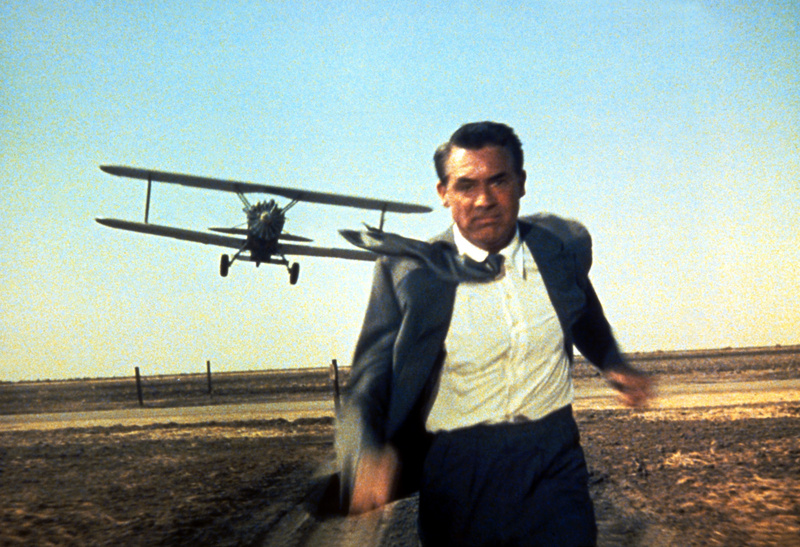 All of the TV shows or Cary Grant films? Just about anything this actor did. I had a feeling that’s what you meant. 🙂 Can’t say I have seen a bad Cary Grant performance yet. I missed out on voting, but my favorite isn’t even on the list. The Awful Truth is my favorite Cary Grant movie AND my favorite movie, period. Wow, I’m going to have to check that out. That was the only film on the list that didn’t get a vote, unfortunately. I guess I have to vote Game of Thrones, as I’ve seen a few episodes and enjoyed it, while I haven’t seen any of the others. Haha, that makes sense then. Nice to see Hitchcock take the first two. Breaking Bad is, in my opinion, the best show on TV though Mad Men comes close. Agreed about Breaking Bad. Can’t wait till next month! Good results for the Cary Grant poll! It’s nice to see the strategy FX employed with putting extra money and talent aside for its then superior “must see” product, ‘The Shield’ evolving into even smaller entities (Showtime, Netflix, etc) doing the same for their pet projects like ‘Homeland’ and ‘House of Cards’. AMC has done it best of the lot, with ‘Breaking Bad’. Which is a weekly exploration into the depth and abilities of superb, Jack of all trades character actor, Bryan Cranston! Hi Jack, yeah, AMC has really nailed that formula. Breaking Bad and Mad Men are two of the best shows on TV, and it’s great to see them succeed. I also really like what Netflix has been doing lately. House of Cards is terrific, and I am also enjoying Orange is the New Black. Hope they keep up the great, original programming. I’d pick NBNW too! Though I REALLY want to see The Philadelphia Story, I’m surprised it only got 1 vote!